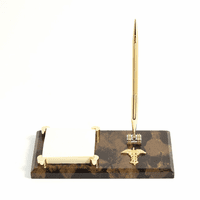 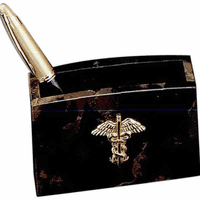 FEATURES/SPECS Keep your favorite doctor's desk organized with this medical theme paper clip holder. 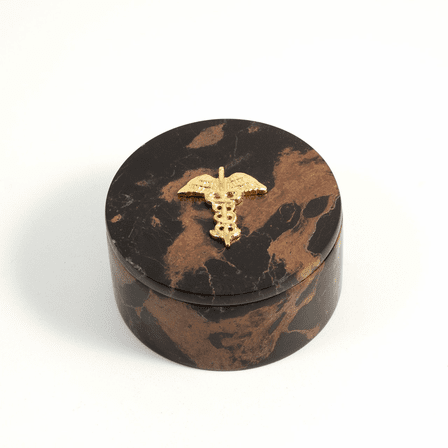 Perfect for holding paper clips and other small accessories, its made of solid black marble with beautfiful gold veins running througout. On the front lid, the Caduceus emblem, the symbol of modern medicine, is mounted in polished gold. 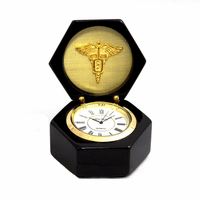 You can add a laser engraved gold plated right below this emblem free of charge, a unique personalized gift for one of our heroes in the medical profession.